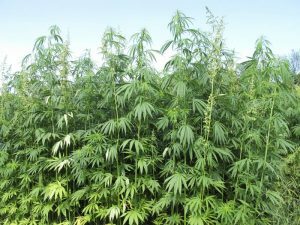 On Wednesday March 13th at 12 pm EST, the USDA will host a hemp listening session to receive feedback from stakeholders regarding regulation of hemp under the 2018 Farm Bill. Vote Hemp president Eric Steenstra will be presenting comments along with about 50 other speakers. We encourage you to join us to hear the comments. You can preview our comments here. This is your opportunity to weigh in on the USDA hemp regulatory process. Register now so you can participate. There is still time to submit comments to USDA via email. Please send your comments to farmbill.hemp@usda.gov and make sure to include your name, company name (if applicable), address, email and phone number. “I’m happy to finally see it go through,” Nicholas Dial, president of the Arkansas Hemp Association and co-author of the draft of legislation eventually approved by large margins in both the House and Senate, said Thursday after the board’s vote. Hemp — a cousin to marijuana — contains no more than 0.3 percent tetrahydrocannabinol, or THC, the psychoactive component that gives the “high” from marijuana use. Growing hemp was illegal until the 2014 farm bill approved by Congress allowed states to set up research programs that also would involve private growers of the fiber. The rules also still must go through the Legislative Council, a body of lawmakers that conducts the Legislature’s business when it isn’t in session. The Plant Board had initially approved rules and regulations in March, but concerns of Gov. Asa Hutchinson held up the measure for several more weeks, Dial said. “Instead of taking three or four days, it took two months,” Dial said. “I don’t approve of every bill that lands on my desk, but my disagreement doesn’t always rise to the level of a veto,” Hutchinson told the Arkansas Democrat-Gazette in April 2017, referring to all 13 pieces of legislation he didn’t sign. “It’s been a long process,” Dial said, noting the Plant Board has been busy since last year in dealing with complaints of dicamba damage to crops and other vegetation not tolerant of the herbicide. Dial said he liked the changes made to the rules between the first and second times the Plant Board considered them. Senate Majority Leader Mitch McConnell, R-Ky., added an amendment to the 2018 farm bill that defines hemp as an agricultural commodity and removes it from the list of federally controlled substances. McConnell’s amendment states the regulators of hemp production and makes hemp farmers eligible to apply for crop insurance. Hemp researchers also could apply for grants from the U.S. Department of Agriculture. WASHINGTON, DC — Vote Hemp, the nation’s leading grassroots hemp advocacy organization, has released its 2018 U.S. Hemp Crop Report. 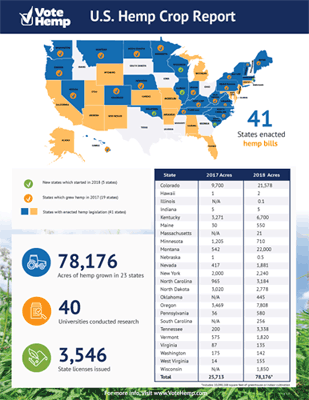 The report documents state-by-state progress of hemp legislation passed in 2018, reported acreage of hemp grown, identifies states with active hemp pilot farming programs and advocacy work the organization has lead over the past year leading up to the federal legalization of hemp through the signing of the 2018 Farm Bill. To view the complete 2018 U.S. Hemp Crop Report, please visit: https://www.votehemp.com/u-s-hemp-crop-report/. Since the passage of Section 7606 of the 2014 Farm Bill, “Legitimacy of Industrial Hemp Research,” hemp cultivation in the U.S. has grown rapidly. The number of acres of hemp grown across 23 states totaled 78,176 in 2018—more than triple the number of acres from the previous year. State licenses to cultivate hemp were issued to 3,544 farmers and researchers; and 40 universities conducted research on the crop, more than double the number of licenses issued in 2017. The new 2018 Farm Bill, signed into law by the President on December 20, 2018, includes Section 10113 titled “Hemp Production,” which removes hemp from the Controlled Substances Act, places full federal regulatory authority of hemp with USDA, and allows State departments of agriculture to submit hemp program plans for approval and regulate hemp cultivation per their State specific programs. In addition to defining hemp as cannabis that contains no more than 0.3% THC by dry weight, the 2018 Farm Bill asserts a ‘whole plant’ definition of hemp, including plant extracts; and removes roadblocks to the rapidly growing hemp industry in the U.S., notably by authorizing and encouraging access to federal research funding for hemp, and removing restrictions on banking, water rights, and other regulatory roadblocks the hemp industry currently faces. The bill also explicitly authorizes crop insurance for hemp. The full text of the hemp provisions in the Farm Bill of 2018 may be found at: https://www.votehemp.com/2018farmbill. For more details on the specific hemp provisions in the 2018 Farm Bill, please check out Vote Hemp’s blog post, “Hemp in the Farm Bill: What Does It Mean?” https://www.VoteHemp.com/hempinthefarmbill. Among the fastest-growing categories in the natural foods industry, hemp seed is a rich source of Omega-3 and Omega-6 essential fatty acids (EFAs), providing both SDA and GLA, highly-digestible protein, and naturally-occurring vitamins and minerals, such as vitamin E and iron. An excellent source of dietary fiber, hemp seed is also a complete protein—meaning it contains all ten essential amino acids, with no enzyme inhibitors, making it more digestible by the human body. Advancements in hemp research and manufacturing demonstrate the remarkable versatility and product-potential for hemp. Hemp bast fiber has shown promising potential to replace graphene in supercapacitor batteries, which could then be used to power electric cars and handheld electric devices and tools. Hemp fiber can also be used to create environmentally friendly packaging materials, and hard bio-plastics for use in everything from airplanes to car parts. Hemp houses are also on the rise, as hempcrete, which is energy-efficient, non-toxic, resistant to mold, insects and fire, has many advantages to synthetic building materials, lumber and concrete. To date, forty-one states have defined industrial hemp as distinct and removed barriers to its production. These states are able to take immediate advantage of the industrial hemp research and pilot program provision, Section 7606 of the Farm Bill: Alabama, Alaska, Arizona, Arkansas, California, Colorado, Connecticut, Delaware, Florida, Hawaii, Illinois, Indiana, Kansas, Kentucky, Maine, Maryland, Massachusetts, Michigan, Minnesota, Missouri, Montana, Nebraska, Nevada, New Jersey, New Mexico, New York, North Carolina, North Dakota, Oklahoma, Oregon, Pennsylvania, Rhode Island, South Carolina, Tennessee, Utah, Vermont, Virginia, Washington, West Virginia, Wisconsin, and Wyoming. 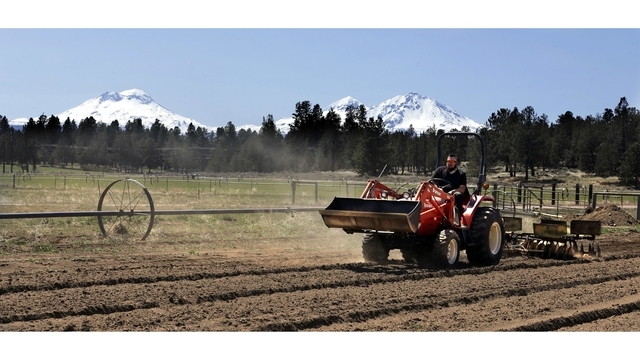 Oregon Democratic Senators Ron Wyden and Jeff Merkley today urged FDA Commissioner Scott Gottlieb to ease regulations on hemp production to make it easier for farmers to grow and distribute the newly legalized crop. The 2018 Farm Bill, included provisions from Wyden and Merkley that legalized production of hemp, fully removing it from the Controlled Substances Act. But “outdated regulations, however, limit producers from taking full advantage of the industrial hemp market,” the lawmakers said in a letter to Gottlieb. They referenced, for example, a stipulation that prevents hemp-derived CBD products from being sold in interstate commerce. “We will be closely engaged in the ongoing implementation of our legislation, as it was Congress’ intent to ensure that both U.S. producers and consumers have access to a full range of hemp-derived products, including hemp-derived cannabinoids,” Wyden and Merkley wrote. The lawmakers noted that FDA is operating with reduced staff due to the partial government shutdown, and requested the agency respond to six questions about updating regulations within 30 days after the government is reopened. Carthage, TN. — Kyle Owen, 36, leans against a wooden post, smoking a cigarette, gazing at the crops stockpiled in his barn. A row of rusted wagons are stuffed with thousands of long brown stalks of handpicked tobacco, which was the backbone of his harvest for 15 years. His American Dream was built on tobacco, but now it barely pays the bills. Fortunately, next to the line of wagons, a new dream has sprouted. Sixty bales of hemp fiber, each weighing close to 800 pounds, are stacked in the barn and waiting to be to be shipped to a processing company. This is Owen’s first hemp harvest. Most likely, he says, it is the first of many. Owen is not alone. Faced with the decreasing profitability of tobacco and an expanding market of hemp products, some of Tennessee’s longtime tobacco farmers are abandoning the state’s traditional cash crop and embracing a lucrative but largely uncharted hemp industry. Much of that hemp is used in increasingly popular products containing cannabidiol, commonly known as CBD, which is advertised as having broad but often unverified health benefits. Some farmers, including Owen, also say they are positioning themselves for the possibility of growing marijuana if it becomes legal to farm in Tennessee. Hemp, which is closely related to marijuana but has no psychoactive effect, has been legal to grow in Tennessee for five years through a closely monitored government pilot program. State records show that most licensed growers are small hobbyists, farming only a few acres, but commercial-scale hemp farming is rising quickly, in part because the industry is recruiting struggling tobacco farmers. Tobacco has long been a cash crop in rural Tennessee, largely grown on family farms in what is still one of the most smoking-friendly states in the nation. However, many farmers now say tobacco profitability has faded due to a combination of decreased demand, bad harvests and competition from oversea farmers who aren’t required to meet American labor standards. Switching to hemp, they say, is just good business. This year, as least seven of the state’s top 10 hemp farmers come from tobacco-growing backgrounds, including the state’s biggest hemp growers, brothers Zeke and Eli Green, who said their family has grown tobacco for seven generations. Starting this year, the Green brothers are licensed to grow about 2,600 acres of hemp – more than the rest of the state combined – on their farm in Greenfield. Owen, who is the third largest hemp grower in Tennessee, also joined the industry this year, planting about 250 acres of fiber hemp alongside 300 acres of tobacco. He now expects the fiber hemp and tobacco yields to generate approximately the same income, even though the hemp required about a 100th as much labor to grow and harvest. Soon, he will sell his hefty bales of hemp to Sunstrand, a Kentucky company that will use it to make building materials, housing insulation and even car parts. Next year, Owen plans to expand again, planting 400 acres of fiber hemp and converting two-thirds of his tobacco acreage to CBD hemp, which is used to make medicinal oils, lotions and other consumables. CBD hemp is more laborious and expensive to grow, costing thousands per acre, but potentially more profitable than tobacco ever was. This mix of hope and skepticism is not uncommon in Tennessee’s blossoming hemp industry, which is largely driven by medicinal claims that have not been verified by the Food and Drug Administration. Advocates will argue that CBD can be used to alleviate pain, seizures, insomnia, stress and a seemingly endless list of other ailments, but the only CBD medicinal application approved by the FDA is Epidiolex, a new medicine used to treat a rare form of epilepsy. Regardless, CBD products are now sold widely, available in everything from specialized dispensary-like shops to simple convenience stores. Although once considered taboo for its close association to marijuana, CBD’s mainstream status hit new heights in September when Coca Cola announced it was considering a hemp-infused soda. Corbin, 56, a third-generation tobacco farmer, joined Tennessee’s hemp pilot program five years ago, trying to position himself to someday grow medical marijuana. Corbin said those first years were like “walking the dark,” as pioneering farmers experimented with a crop they didn’t understand. Entire crops were lost to rookie mistakes, he said. Anyone who did manage a harvest struggled to find a buyer. But all of that changed this year as large hemp processing companies have begun to contract farmers in advance, giving this young industry a foundation on which it can grow. For example, Corbin recently signed a contract to produce 60,000 pounds of CBD hemp within a year. To meet that order, he will have no choice but to expand. Harrisburg, PA – Federal legalization of hemp could be a cash cow for Pennsylvania farmers. The farm bill approved by Congress last week removes hemp from the list of federally controlled substances. Hemp was once a tremendously important crop in Pennsylvania, but it was federally outlawed in 1937 because, like marijuana, it comes from the cannabis plant. Hemp, however, is low in THC, the compound that gives pot its high. The U.S. government loosened restrictions on hemp production in 2014. A limited number of Pennsylvania farmers have been growing the crop for research purposes since 2017. “We have some really enthusiastic growers who believe in hemp and believe in its possibilities, and they’ve seen what they can do with it,” state Department of Agriculture spokeswoman Shannon Powers said. In 2018, the state allowed up to 50 growers to plant and harvest up to 100 acres of hemp. “They’re researching things like proper growing conditions, how it could be harvested, all that 80 years of information we’re missing since hemp’s been gone from our landscape for 80 years,” Powers said. Federal legalization will allow hemp farmers to buy crop insurance, write off business expenses on their taxes, and ship across state lines without fear of prosecution. Hemp is used for manufacturing products such as paper, cloth, rope, and building materials. There’s also growing demand for a non-psychoactive compound found in hemp. Supporters say cannabidiol, or CBD, has a wide range of health benefits. President Trump is expected to sign the farm bill into law this week. Alaska is on the brink of a hemp-growing industry. But first, the state gets to pick the players. BUTTE — Alaska’s future hemp industry barely drew interest from a few dozen people when a bill making it legal surfaced last year. But since Gov. Bill Walker signed that bill into law last month, the state official charged with rolling out the industrial hemp program has heard from three or four dozen potential hemp entrepreneurs a week. More than 500 people have contacted state agronomist Rob Carter about hemp, many of them eager to access lucrative cannabidiol oil markets. So-called CBD oil is a non-intoxicating cannabis extract, already sold in Alaska but not made here, that’s said to treat a wide range of ailments: arthritis, seizures, anxiety and more. CBD markets are booming throughout the United States, en route to what’s expected to be a multibillion-dollar market within a few years. Pure CBD oil derived from whole hemp plants is worth about 10 cents a milligram, or $2,830 an ounce — far more than the price of pure gold. He predicts a new hemp industry up and running within three or four years. But first, Alaska’s nascent industry needs answers: How will the state roll out a pilot program? Which seed variety will thrive in quirky climates? And what’s the solution to the state’s ever-present transportation and infrastructure hurdles? Alaska has now joined 34 other states that have the ability to grow hemp — many of them without legal marijuana. Senate Bill 6 allows for the creation of a hemp industry separate from marijuana, which is regulated by the Division of Agriculture instead of the Alcohol and Marijuana Control Office. The success of the legislation was years in the making: Former state Sen. Johnny Ellis, D-Anchorage, originally introduced a hemp bill in 2015. SB 6 was sponsored by Palmer Republican Sen. Shelley Hughes and carried in the House by Anchorage Democrat Rep. Harriet Drummond. Ellis, who attended last month’s bill-signing at the “classy” invitation of Hughes, said he hopes the state starts the hemp pilot quickly given the time it took to pass legislation. Hemp is defined in Alaska statutes as cannabis sativa L., containing no more than 0.3 percent THC, the psychoactive ingredient in marijuana. Hemp and marijuana come from the same general plant family — cannabis — but hemp doesn’t get you high. They look different: A hemp plant is skinnier and taller, with leaves up high, instead of bushy like a marijuana plant. While the two are still lumped together under the federal Controlled Substances Act, a change to the Farm Bill made it legal to grow hemp under state-run pilot programs. Hemp provides a basis for everything from clothing, salves and protein-packed seeds to oil-spill booms, building materials, even corrugated paper production for seafood processing. Talkeetna’s Ember Haynes advocates for garden-level hemp growers. Haynes, who owns Denali Hemp Co. and Silverbear Sundries downtown, has sold hemp seed oil from Canada for a decade. Now she wants to grow her own hemp for oil and salves but also to feed and bed her goats, pigs, turkeys and chickens. Kenai Peninsula soil and water conservation agent Steve Albers wants to put in 5 acres of hemp, maybe to someday make building materials. But first the raw product’s fibrous stalk needs to be removed from the inner stem, Albers said. Equipment to do that isn’t readily available in the state. 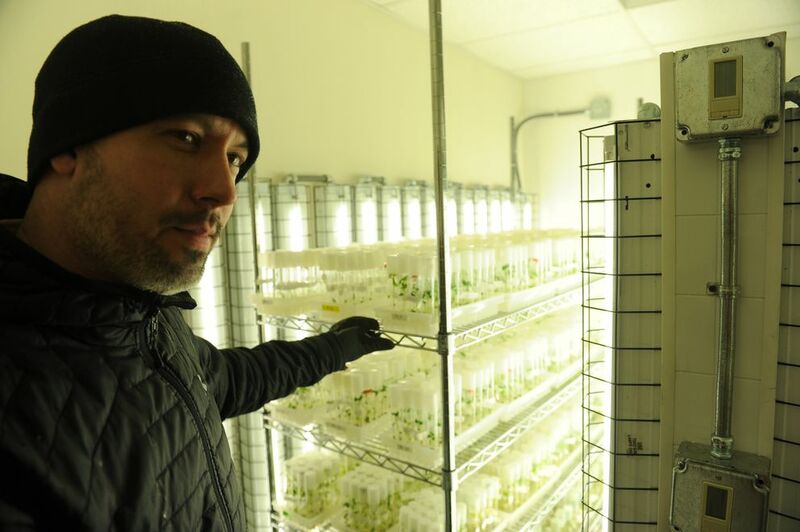 Others hope an Alaska hemp industry could produce locally sourced CBD oil. Fans rave about CBD oil’s healing properties for dozens of conditions, from anxiety and stress to multiple sclerosis. Though there’s been little published data to back most medical claims about CBD, new research is starting, according to a National Public Radio report. Federal funding is going toward a clinical trial to see whether CBD can help people with post-traumatic stress disorder who abuse alcohol, NPR reports. Another study is looking at CBD’s use in preventing relapse in opioid abusers. A U.S. Food and Drug Administration panel last month recommended approval of a CBD product to treat four types of epilepsy. Gershon Cohen of Haines testified during a legislative hearing this year that the oil controlled his granddaughter’s seizures so well, the family took her off drugs that had delayed her motor skills development. The girl went from being unable to sit at 16 months to walking a few months later. She’s 3 years old now. “She runs and plays and rides a tricycle with her peers,” Cohen said. She’s had no seizures in 26 months on CBD, he said. CBD oil is already in sold in gas stations, garden and pet stores, and natural groceries in Alaska. But it’s made from cannabis grown and processed someplace else, then shipped up. With the advent of legalization, a number of recreational marijuana growers are preparing to add a new crop to make CBD oil from Alaska-grown hemp. Coman is already an established cannabis entrepreneur: He owns a recreational marijuana dispensary and limited grow operation called Green Degree just outside Wasilla. He’s in the process of opening a CBD store in downtown Wasilla. Now he wants to farm hemp to make his own CBD oil using the horticultural skills already honed growing marijuana. He’s already put bids down on some large agricultural lots toward Willow. “We’re going to start our hemp field there and move forward,” Coman said. Even though hemp doesn’t contain the psychoactive agents in marijuana, there’s still stigma and legal confusion surrounding it, he said. Marijuana license holders got a state advisory a few days after the hemp bill signing, making it clear the board now has no authority over industrial hemp or products made from it. But long before that, in February 2017, the state seized over $20,000 worth of CBD oil due to conflict with marijuana packaging regulations. By the time Coman got his CBD oil back, he said, a third of the product was expired and had to be tossed. Backers say industrial hemp could herald a major new industry for Alaska, given the state’s relatively pristine growing climate and soil. But before any hemp seeds hit the ground, the state Division of Agriculture’s Plant Materials Center in Butte must develop a pilot program as required by federal law. Only people registered in that program can grow, process or manufacture hemp products. Honing that list of participants falls to Carter, who directs the Plant Materials Center. So does developing regulations that must be in place before hemp is truly legal in Alaska. The rules need to be drafted, go through public input, and get final approval. Carter says he hopes indoor growing could start this winter and outdoor the summer of 2019. First he needs — with help from other agriculture division staffers and state attorneys — to draft the rules and a list of participants in the pilot program. How will he pick them? How many will there be? Where will the state get hemp seed? A federal permit is needed just to transport it here. What variety of seed will grow here given Alaska’s short but intense summer season? Given the state’s remoteness and lack of hemp history, how will Alaska play catch-up with the processing equipment needed for this new industry? And how will the state regulate people who want to grow hemp for CBD oil when there’s already oil on shelves in gas stations and natural food stores? It’s likely “a large portion of the regulations” will address CBD oil production, manufacturing and sales, Carter said. Anyone who wants to grow hemp in Alaska to make CBD oil will have to make it into the state’s pilot program. Carter’s not sure how he’s going to cull a list he originally thought would contain 25 names but now has over 500. WASHINGTON, D.C. — Vote Hemp, the nation’s leading grassroots hemp advocacy organization working to change state and federal laws to allow commercial hemp farming, will hold a press conference on January 7, 2019, at the Eaton Hotel in Washington, DC, to discuss the legalization of hemp farming in the U.S., per Section 10113 titled ‘Hemp Production’ in the 2018 Farm Bill. Hemp movement leaders from the past 30 years of hemp farming advocacy will gather to discuss the long history of their collective efforts, and the future of hemp farming, state policy, and the evolving hemp consumer market in the U.S.
Eric Steenstra, President of Vote Hemp; David Bronner, CEO of Dr. Bronner’s; Mike Lewis, Kentucky Hemp Farmer; Courtney N. Moran LL.M, founder of Earth Law LLC; Alex White Plume, Hemp Farmer and Former President of the Oglala Sioux Lakota Tribe; Joseph W. Hickey Sr., Director of Corporate Relations Atalo Holdings; Franny Tacy, North Carolina Hemp Farmer and Founder of Franny’s Farmacy; and many others. Founded in May of 2000, Vote Hemp is the longest standing, leading national single-issue non-profit organization dedicated to the revival of a free market for commercial hemp farming and manufacturing of hemp products in the U.S. In its nearly two decades of advocacy, the organization has been pivotal in the creation of policy at both the state and federal levels, educating the public about the benefits of hemp through the creation of the Hemp History Week campaign, and engaging in numerous crucial legal battles to defend U.S. hemp businesses and the American hemp market. Notable victories for hemp that Vote Hemp played a key role in achieving in recent years include: The DEA Hemp Food Rules Challenge (2004); The North Dakota Hemp Controversy (2009); Inclusion of Sec. 7606 “The Legitimacy of Hemp Farming” in the 2013 Farm Bill; Legal Defense of Alex White Plume (2002 – 2016); and The DEA Marijuana Extracts Rule (2018). For more information about these landmark moments in the history of Vote Hemp’s advocacy, please visit: https://www.votehemp.com/legal_cases.html. Vote Hemp has consulted with state agriculture officials and calculated that approximately 77,731 acres of hemp crops were planted in 23 states during 2018 in the U.S., 40 universities conducted research on hemp cultivation, and 3,544 State hemp licenses were issued across the country. Data from market research by Hemp Business Journal supports an estimate of total retail sales of hemp food, supplements and body care products in the United States at $553 million. Sales of popular hemp items like non-dairy milk, shelled seed, soaps and lotions have continued to increase, complemented by successful hemp cultivation pilot programs in several states, and increasing grassroots pressure to allow hemp to be grown domestically on a commercial scale once again for U.S. processors and manufacturers. Hemp Business Journal has also reviewed sales of clothing, auto parts, building materials and various other products, and estimates the total retail value of hemp products sold in the U.S. in 2017 to be at least $820 million. The United States is the largest consumer market for hemp products in the world. RAPID CITY, S.D. – There’s a jar in the GrassRoots smoke shop on Rapid City’s north side collecting tips for a purpose. “We’re going to rent a bus and a driver and go all the way to Pierre,” Sharon Neva, the shop’s owner, said Thursday. The farm bill awaiting President Trump’s signature aims to legalizes industrial hemp and its offshoot products across the country — but not necessarily in South Dakota. With that in mind, South Dakota merchants who previously sold cannabidiol (CBD) oils and lotions, especially the hemp-extracted kind with cures reported for aches and pains to anxiety and seizures, want to be heard at the legislative session in January. “They (legislators) can look us in the eye and tell us they don’t care,” said Neva, who believes the Legislature needs to overturn parts of a 2017 law that criminalized CBD by making it a schedule 4 illegal substance, the same as narcotics. Leonard Vandermate, the owner of the Hemporium Boutique, was among those who sold CBD oils in Rapid City until law enforcement from the county and state told him to remove the products from the shelves of his store, which opened in 2017. Since then, he’s felt the sting of the state’s law. How CBD — oils with very low to no tetrahydrocannabinol (THC) levels derived from the seeds of marijuana and its nonpsychoactive sibling hemp — have gone from “miracle drug” legalized for sale in several states, while still technically illegal at the federal level — to a narcotic in South Dakota is a long and winding road of state and federal lawmaking. The 2014 Farm Bill’s Section 7606 allowed universities to perform research on industrial hemp, which created an opening for manufacturers. Then, a small section in the 2016 federal Omnibus Bill went a step further and allowed hemp to cross state lines. Vandermate started an online company in 2015, and sold CBD oil — which users can apply in lotion form to aches or take orally to reduce anxiousness — at a tent at the 2016 Sturgis Motorcycle Rally. But then came Senate Bill 95 in the 2017 South Dakota Legislature. Proponents saw SB 95 a way to catch up with the rest of the country in legalizing some cannabis-derived medication. Critics called it a monopoly takeover. Sioux Falls Sen. Blake Curd, a Republican, authored SB 95, which sought to legalize a hemp-based version of CBD for medicinal purposes. Curd testified before a Senate committee about the lack of hallucinatory effects of CBD oils, especially those derived from hemp. “You’re more likely to drown in hemp than get high from it,” Curd said. The legislation cut CBD out of the criminal definition of marijuana. However, an early amendment sought and received by GW Pharmaceuticals, a British company that also goes by the name Greenwich Biosciences and had two lobbyists in Pierre, stipulated that only CBD with FDA approval should be decriminalized. At the time, GW’s product, Epidiolex, a medication that treats seizures in children, was proceeding through FDA trials. The amendment passed 4-3. The final text version of SB 95 as it passed into the House categorized CBD that did not receive FDA approval a schedule 4 of illegal substance. Suddenly, several distributors across the state, including Vandermate and Neva, were set to face a Class 4 felony, or 10 years in prison or a fine of $20,000 for selling CBD. While other states paved and widened roads for hemp-derived products and supplements, South Dakota put up a one-lane tollway. When Gov. Dennis Daugaard signed the bill into law on March 27, he essentially legalized one product — Epidiolex — that wouldn’t be sold in South Dakota pharmacies and shops for another year and made criminal the possession and sale of many hemp-derived, low-THC-containing products already on store shelves. In April 2017, Neva removed CBD products — what she calls 65 percent of her business — from the inventory of her Rapid City store. A spokeswoman for Gov.-Elect Kristi Noem’s incoming administration said the new governor would likely not be interested in touching the CBD stipulation as currently written in the law. “Governor-elect Noem maintains that substances derived from cannabis should go through the proper FDA approval process, as other medications are required to do,” Noem’s Press Secretary Kristin Wileman said via email.